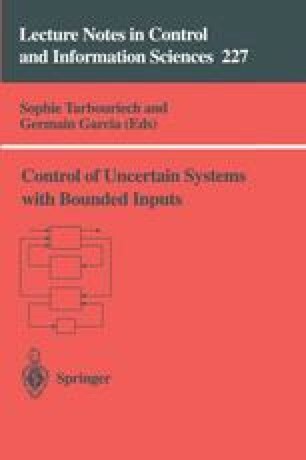 We have shown that, given a system, it is possible to compute control laws which assure a degree of performance, arbitrarily close to optimal performance. The performance is evaluated in terms of three parameters, which may be associated to the rate of exponential convergence toward the origin, to the attenuation of an unknown but bounded input disturbance and to the size of the input constraining set. Moreover a technique to evaluate the degree of robustness of a given solution, with respect to parametric uncertainties of the system is described. The special case of linear state feedback control law is examined. The approach conceptually solves problems in a very general framework. From an implementation point of view, the main drawback of the method is the required numerical effort: some experimentations are in progress to estimate its practical complexity.